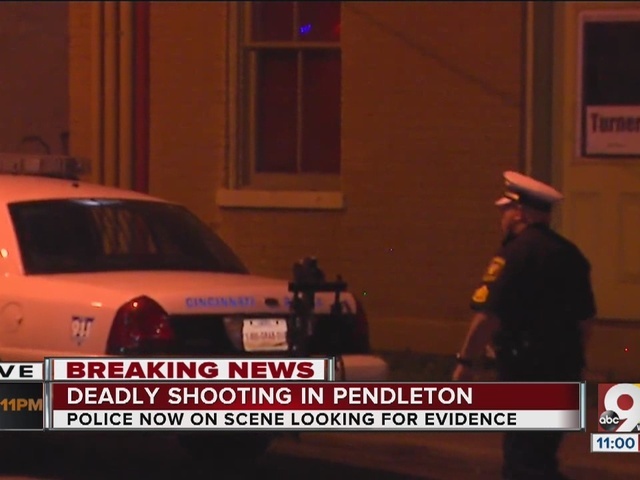 CINCINNATI -- Cincinnati police are investigating a fatal shooting in the city's Pendleton neighborhood. Lt. Tim Brown, Cincinnati Police Department night chief, said Richard A. Hudgies, 31, was found shot in the head at an apartment building on East 13th Street between Sycamore Street and Broadway. The victim was in a hallway on the building's first floor, Brown said, and he was pronounced dead at the scene. There's no immediate information on the shooter, Brown said. Anyone with information about this homicide is asked to call the Criminal Investigation Section at (513) 352-3542 or CRIMESTOPPERS at (513) 352-3040 or text “CINTIP” plus your message to CRIMES (274637). Callers may remain anonymous and may receive compensation for their information.